DC Power Unit Troubleshooting Guide – KTI Hydraulics, Inc. 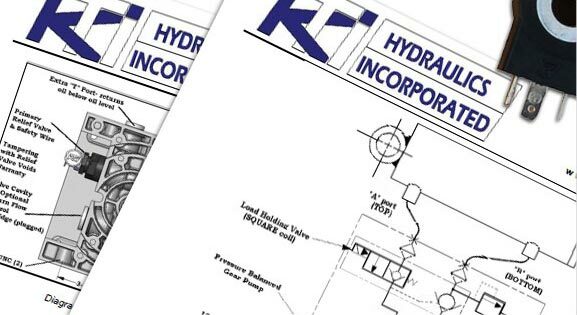 The purpose of this guide is to help you trouble shoot KTI DC Hydraulic Power Units, by explaining how the electric & hydraulic circuits work together to perform each function. Also included are some tricks & tips we have found talking to you the customer. 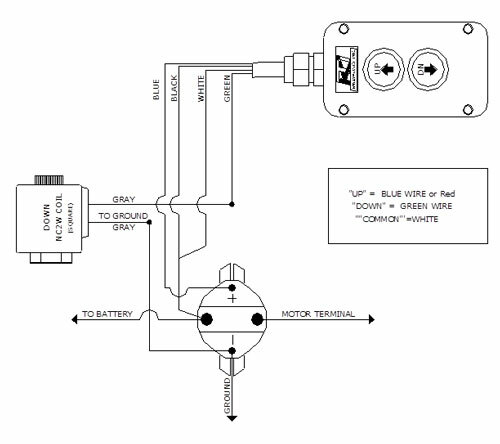 When troubleshooting Hydraulic Power Units you first want to understand how the hydraulic circuit works with the electrical circuit, Also the sequence of operation for each hydraulic circuit. If you can understand these two things you can fix most hydraulic systems. 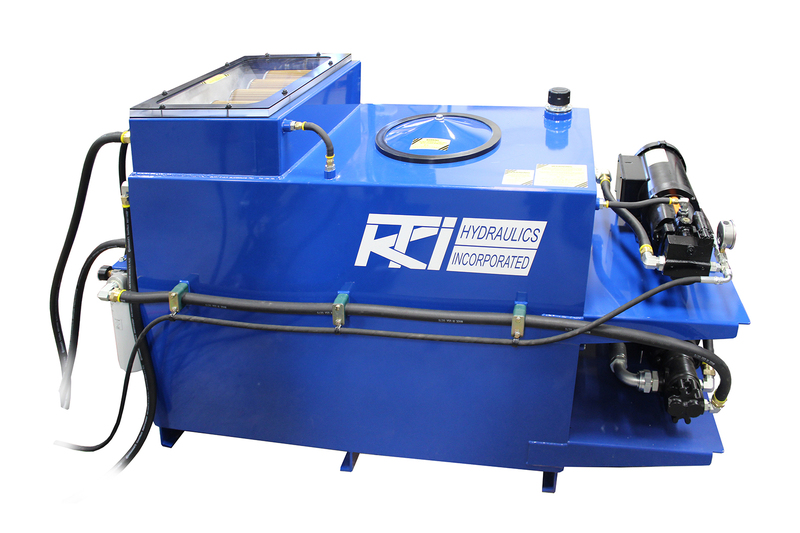 Most problems with mobile Hydraulic Power Units are electrical, the most common being poor ground condition which will simulate low battery. Always insure your battery is getting charged. 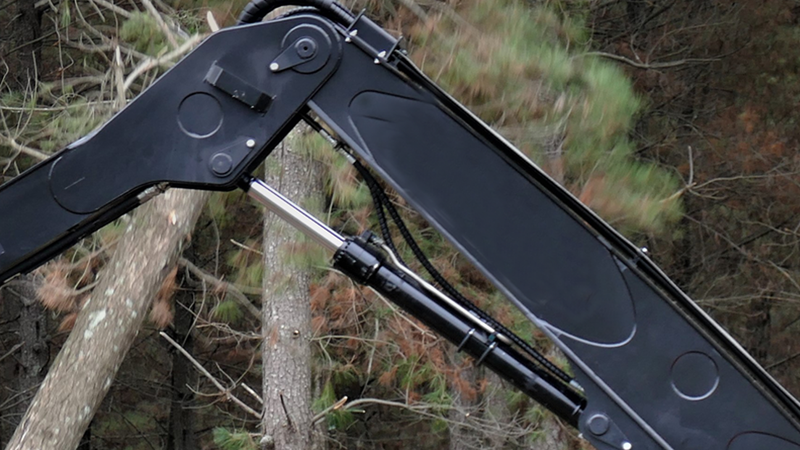 If you are using your hydraulic system frequently you may need to place the battery on charge more frequently. Never adjust relief valves unless consulting factory. Relief valves are factory preset to the manufacturer’s specification. Adjusting the relief valve will not help the power unit build pressure. The last thing you want to do is adjust the relief valve. Tampering with relief valve could cause injury, catastrophic failure resulting in death. 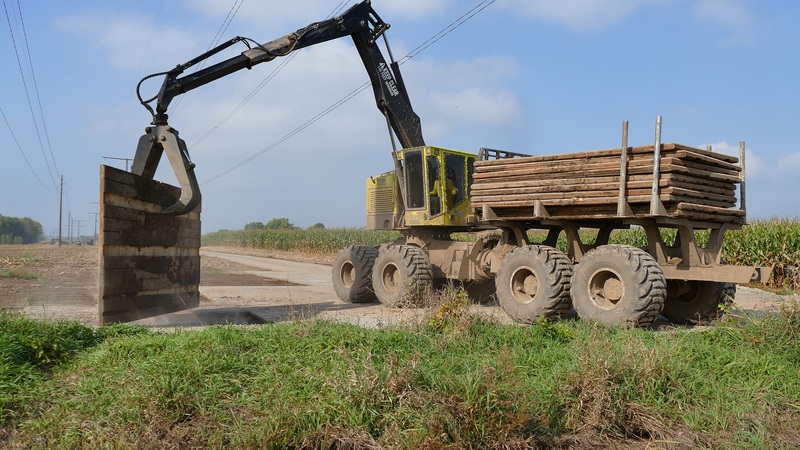 Having a designated auxiliary battery for your hydraulic system is recommended. Always place a fuse or circuit breaker in charge wire to auxiliary battery. If your battery gets low the Fuse or circuit breaker will blow, if this happens reference battery section in guide. 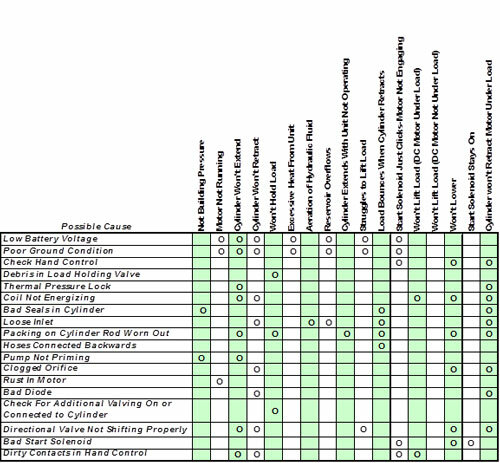 After you have ruled out the electrical circuit use the Quick Reference Chart to solve your issue. Having a 5000 psi Pressure Gage, Flow Meter & Extra Fitting to Tee in the Pressure Gages will make your job a lot easier. When Start Solenoid (not shown) is activated power is provided to DC Motor (1245-15) which turns gear pump (PL-2.10) to build pressure. 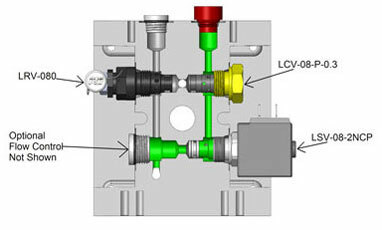 Fluid travels through the Check Valve (LCV-08-P-0.3) & out the “P” Port to extend the cylinder. When cylinder reaches the end of its stroke or maximum load fluid will bypass to tank. Primary Relief Valve set @ 3200 PSI. Relief Valve is Factory Preset, Tampering With Safety Wire Voids Warranty and could result in Serious Injury or Even Death. Pressing Down Button on Yellow Hand Control (not shown) Provides Power to Coil on Solenoid Valve (LSV-08-2NCP). 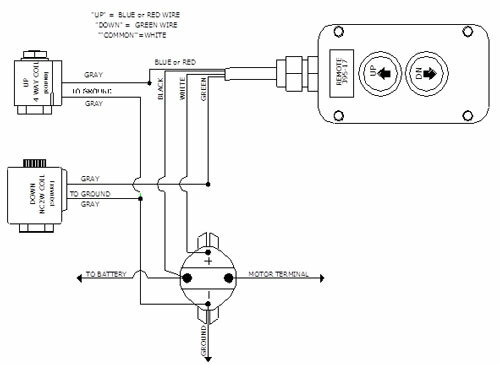 Activating Solenoid Opens Normally Closed 2-way Valve Allowing Fluid to return to tank. (Optional) When Fluid is returning to tank Flow Control may be placed in manifold controlling the speed of the cylinder retracting. Pressing UP Button on Yellow Hand Control (not shown) Provides Battery Power to Start Solenoid, DC Motor & Cylindrical Coil at the Same Time. 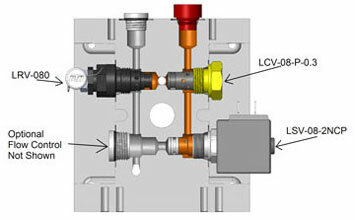 When Cylindrical Coil (On LSV2-08-4CO) is activated, the Directional Control Valve (LSV2-08-4CO) shifts allowing fluid to travel through the Normally Closed 2-Way section of the Load Holding Valve (LSPC-08-4-00) & out Port A of Manifold which will extend cylinder. Orange is Fluid Traveling from the Gear Pump to the Bore of the Cylinder. Green is the Fluid Returning from the Rod End of the cylinder back to the Reservoir. Pressing Down Button on Yellow Hand Control (not shown) Provides Power to Start Solenoid, DC Motor & Square Coil (on LSPC-08-4-00). 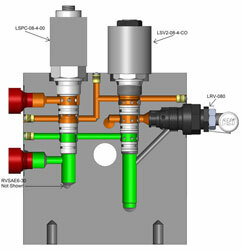 Pressure flows through Directional Control Valve (On LSV2-08-4CO) then through the Lower Section of Load Holding Valve (LSPC-08-4-00) out Port B of Manifold Retracting cylinder. When the Square Coil (on LSPC-08-4-00 is Energized Opening the Normally Closed 2-Way Section of the Lowering Valve (LSPC-08-4-00) allowing fluid to return through Directional Control Valve (LSV2-08-4CO) & back to tank. When cylinder reaches the end of its stroke fluid bypasses to tank via 2nd relief valve (RVSAE6-30) set @ 1500 psi. 2nd relief valve is in place to prevent over pressurization of rod end of cylinder & thermal expansion. Orange is Fluid Traveling from the Gear Pump to the Rod End of the Cylinder. Green is the Fluid Returning from the Bore of the Cylinder back to the Reservoir. Low Voltage causes high amp draw which equals increased heat & reduced rpm of DC Motor. Many times low voltage will actually be poor ground condition. Low voltage will cause carbon buildup on contacts of start solenoid, coils on directional valve to fail & melt the resin on the field windings of dc motor (you will smell it & see the smoke when this happens). Low Voltage can be caused by improper sized wire, poor connections, corrosion, auxiliary battery not being charged or possible blown fuse on charge wire. 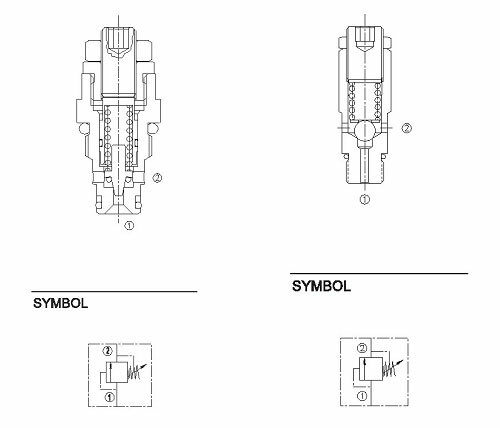 Primary Relief Valve and Secondary Relief Valve (Sometimes used as Primary)Relief valves primary function is to prevent over pressurization of hydraulic system. On a double acting circuit a second relief valve will be placed after the check valve to prevent thermal expansion & over pressurization of cylinder. This could result in catastrophic failure. A check valve is similar to a relief valve but has a lighter spring allowing the fluid to pass through it with little pressure loss. The purpose for this relief valve in the hydraulic circuits covered in this guide is to prevent the fluid from back flowing to the pump. A Normally Closed 2-Way is nothing more than a solenoid operated check valve. When the Solenoid (coil) is activated the pilot pin retracts allowing the pressure to equalize on either side of the poppet then the poppet will retract. 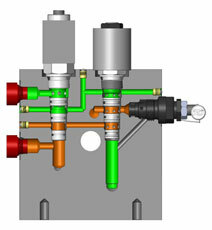 Directional Control Valves simply tell the hydraulic fluid where to go. By activating the Solenoid (coil) the spool will shift changing the flow path. The tolerances between the spool & the cage are tight & overtime these tolerances can increase causing the valve to have excessive leakage. You might notice this if over time, the cycle times have been increasing where eventually you won’t be able to lift a load. Use dipstick on breather to push in section 1 on nose of valve. This will manually shift the valve. The load holding valve checks both rod & bore end of cylinder, this valve is different than any other load holding valve. The solenoid (coil) operated portion allows you to retract the cylinder without having to add an orifice to restrict the flow of fluid down like you would with a dual pilot operated check valve. D/A Remove relief valve operate pump for a few seconds until fluid comes out of port replace relief valve.